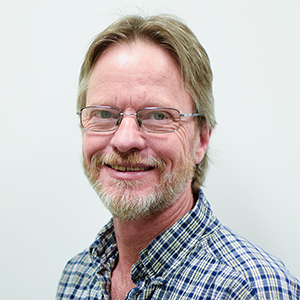 As part of the company’s commercial team, Doornbos applies his industry expertise as a commercial-operations liaison, responsible for focusing on meeting and exceeding customer needs by working with product managers, inside and outside sales, and operations to provide creative product solutions. He is proactively working with sourcing, market research, item rationalization, independent sales consultants, and product managers to offer unique product alternatives and to manage inventory. 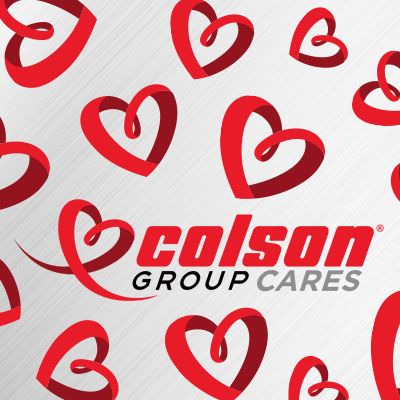 Q: Customer service is essential to the Colson Group. How does the commercial-operations liaison role impact this core value? A: I believe the ultimate goal of this position is to continually improve the communication, and teamwork, between sales and operations. The ultimate objective is to make sure communication on every order is relayed properly to the customer. Q: You have a great deal of experience in the industry. What is something you hope to apply to your new role you have learned in your career? A: Many problems that arise with particular orders can be solved with a little research and knowing which person to go to. I hope after a period of time, each person that deals with a particular problem will be able to do the research and solve each issue in a timely manner to keep our customers satisfied. Q: What is a customer service solution you’re proud of? A: One afternoon, Stan Schiller, who was a guitar tech for the band Def Leppard, called and had a special issue. The band was playing an outdoor concert after their arena concert in Grand Rapids, Mich. and needed casters wide enough to roll across grass for their speaker stacks. The two requirements were: They had to have a total lock, due to the fact the members climbed them; and they had to be in stock, as they were leaving the following night. After going to the arena to look at the speaker stacks, it was decided a standard top plate would work for the mounting. 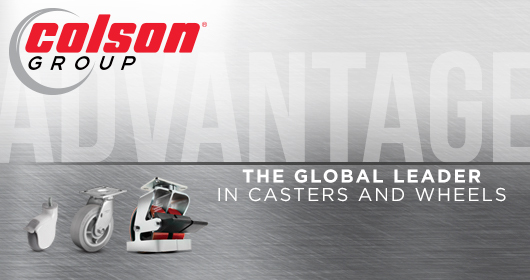 The solution we developed was to use a Colson 4 Series Total Lock caster with 6” x 2” Performa wheels. Using an extended axle, we added two extra wheels onto the outside of each rig, giving a total of 6” of ground contact for each caster. I was able to deliver 32 custom casters to them by noon the next day.